In June’s budget announcement, new healthcare minister Matt Hancock announced the NHS funding headlines: real-terms funding growth for the NHS of 3.4% per year over the next five years, amounting to an extra £20.5 billion by 2023/24. The Government’s intention is to marginally ‘frontload’ the extra money, meaning 3.6% in each of the first two years. The NHS budget for the year 2018/19 is set at £113.8 billion. Nonetheless, whatever these headlines, for NHS organisations to calibrate themselves correctly to be able to transform their IT services in 2020 and beyond – they must be IT fit. • Precision AI – AI is revolutionising healthcare tech using graphics software in areas like radiology. Here radiologists can use AI-based video analytics to find brain bleeds or tumours in MRIs and another creates 3D colour representations of organs from a chest x-ray. • Predictive AI – using muscle:fat ratio from CT scans, AI analytics is being developed to create predictive clinical outcomes for illness or disease. • Natural Language Processing (NLP) – layering this onto data could enable AI algorithms to have access to all patient information vs a small part ie. making sense of badly written disparate medical notes. • Make faster business decisions and greater strategic direction, based on outputs from cognitive technologies. • Mine vast amounts of data to generate quality leads in Sales and grow an organisation’s customer base in business. With so much rapid innovation taking place in technology there are enormous digital capabilities on offer especially around AI. One challenge for healthcare ICT leaders may rest with how they prioritise their spend to evidence best return on improvement and experience for both staff and patients in future years. On top of this, AI needs access to good quality data. Not something commonly associated with the NHS. There is a lack of data standardisation and centralisation which continues to hamper progress (despite healthcare attracting plenty of AI start-ups fostering innovation in the marketplace). Could personal ‘health clouds’ be the answer? One answer leading to digital transformation could be ‘personal health clouds’? Currently data is often stored in separate silos on local hospital servers. There are no data standards nor centralisation. The physical dislocation of NHS data is coupled with the many governance issues around Personal Health Information (PHI) which create an inhibiting mix. If patient records, test results etc. could be stored centrally, with the patient confirming who has access to the info, AI could view all data versus only a part of the data. It could be transformational for the efficiency of the overburdened hospitals – as well as the patients. A main barrier to conversion is the necessity of patient buy-in, agreeing to the use of their data and trusting that all healthcare trust compliance measures are met and protecting their data 24×7. • All public sector organisations having an ICT digital lead and visionary who is connected strategically to the Board – and fully conversant of the complexities of the public sector environment. • Preparedness of the project teams to spend the right length of time at discovery to understand and map out the needs and most desirable outcomes for all stakeholders to ensure the touch of digital feels like a light wand not a heavy fist for implementation or users. • Starting with getting one project right rather than seeking to fix the whole system in one go. • Working closely with innovative software companies focused on the sector. • A highly skilled IT team or partner (internal or outsourced) to safely walk the journey together from infrastructure transformation to a better digital future. Rome was not built in a day, but those straight roads from 2000 years ago are still much admired today. 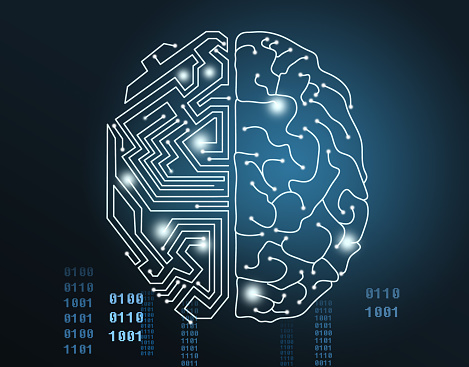 The transformative opportunities facing the NHS through AI are immense – and since IBM Watson beat Ken Jennings in 2011 the progress of AI has marched on into our consciousness. AI requires an open-minded attitude and a willingness to embrace new opportunities when they arise. It’s baby steps to bring about large scale progressive change, but having advanced technological understanding, drive and support to champion and deliver change and connect is a true game changer. Let us know what you think to add to this article? Next Next post: What’s in our MSP crystal ball for 2019?